The Monitor Stands are Perfect for Retail Use Due to Their Security Features. 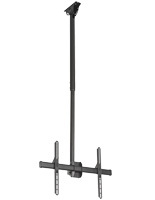 The Flat Panel Mounts are able to Tilt to Provide the Best Views for Customers. 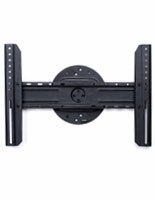 The Monitor Stands can Hang Large Screens up to 70 inches! Steel framing with dark finish makes this bracket both durable and visually appealing. Tilting angle can be manipulated from -5° to 15° for perfect views. Leveling device is built-in to offer ease of installation. 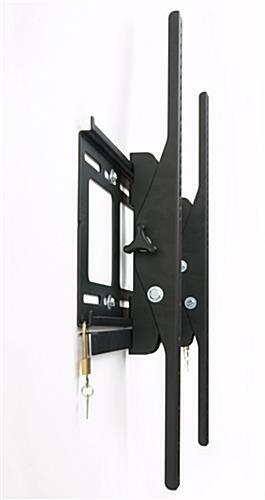 Dual locks with multiple keys for owners help prevent theft. 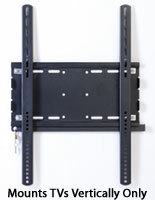 Supports large screens that weigh less than 165 pounds and measure 42" to 70" wide. Compatible with VESA standard patterns, such as 100mm x 100mm (see below for more sizes). These monitor stands, called LCD brackets, come with provided padlocks that make them ideal for busy, retail spaces. 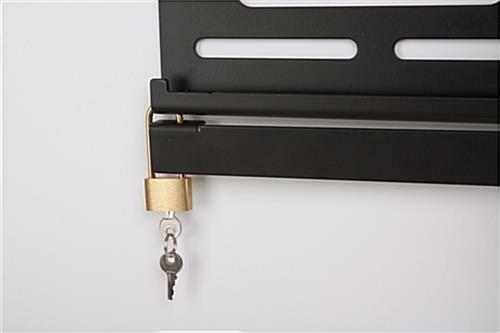 The flat screen mounts include two sets of double keys to allow users control over who has the ability to remove or reinstall the device. The monitor stands have extra-security because they bolt directly to the wall to prevent theft. 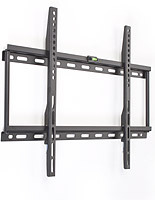 The large screen mounts are able to secure electronic devices that measure between 42" and 70" and the fixtures can't be heavier than 156 pounds. 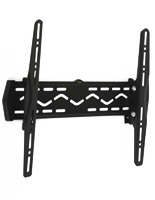 The flat screen brackets, monitor stands are VESA compatible to be able to hang many different sizes of device. 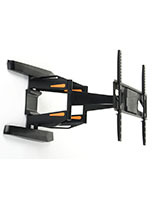 Also the LCD mounts are able to present screens in landscape or portrait format for multiple views. 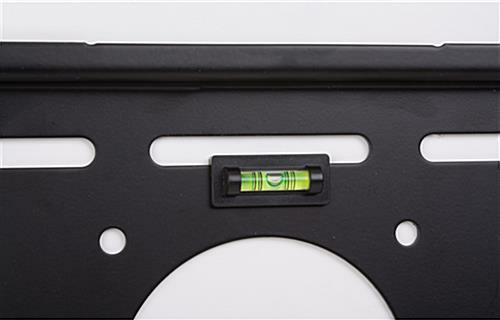 These monitor stands that have a built-in level make sure that the fixtures are placed perfectly when they are mounted. The magnetic bubble level is easy to use and to interpret. The monitor stands also come with hanging hardware. Any special screws that are needed will have to be provided by the customer. The monitor stands that are made of steel have knobs that adjust the viewing angle and can be moved from -5° to 15° easily. 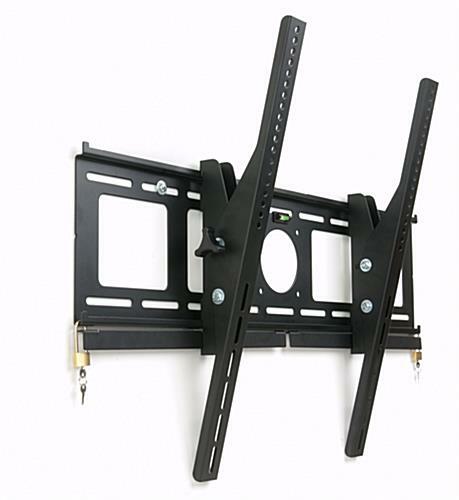 The television brackets are mounted 3" away from the mounting surface, which is a great space saving option! 34.3" x 25.6" x 1.5"